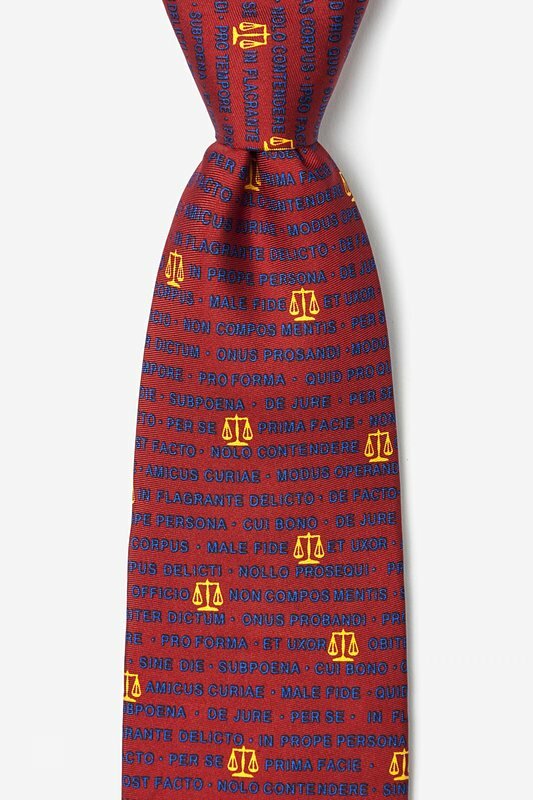 Show off your legal knowledge with this 100% silk necktie by Alynn Neckwear that features a pattern of gold legal scales and Latin law terms such as... "Subpoena. 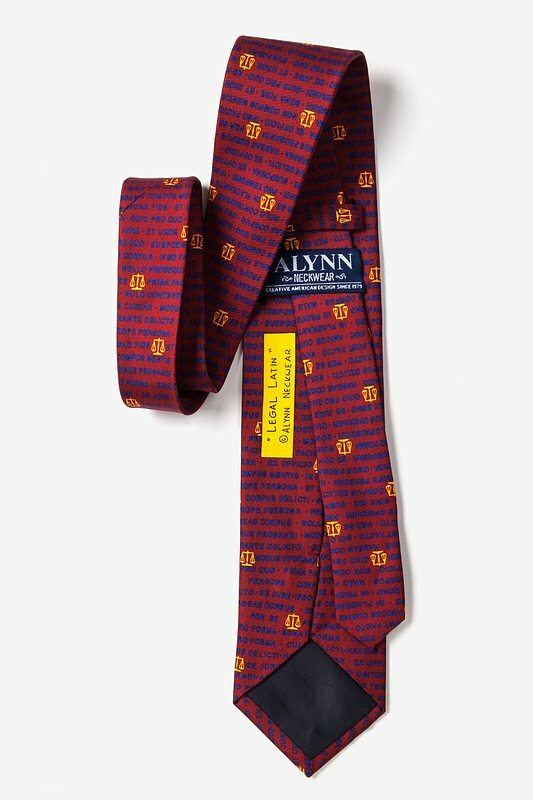 E... read more Show off your legal knowledge with this 100% silk necktie by Alynn Neckwear that features a pattern of gold legal scales and Latin law terms such as... "Subpoena. Ex Officio, Habeas Corpus, Ipso Facto," and much more atop a red background. perfect for both lawyers and judges.